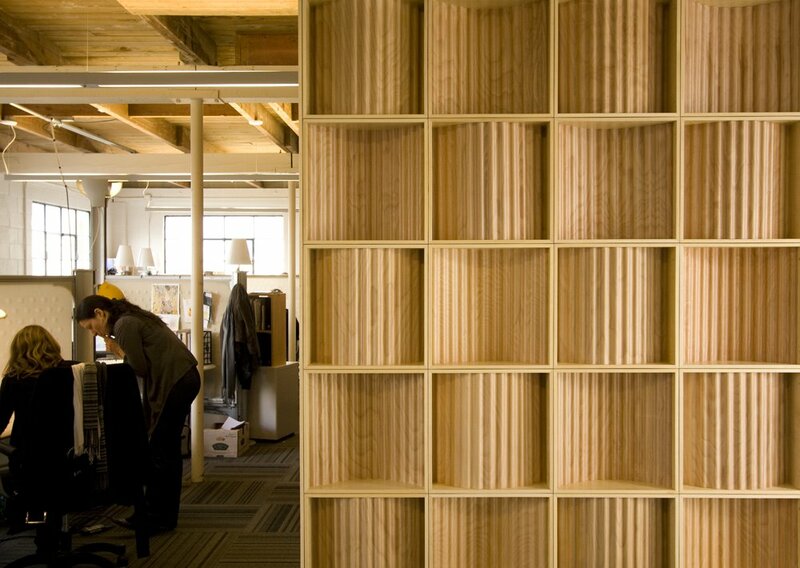 New possibilities with plywood are possible with Corelam, a Canadian manufactured “multi-use corrugated veneer plywood panel product” which we noticed recently at the industrial design site Core77 (no relation to Corelam despite the similar name). The distinctive corrugated wood panels are made with FSC wood and adhesives that do not off-gas formaldehyde or other volatile organic compounds. 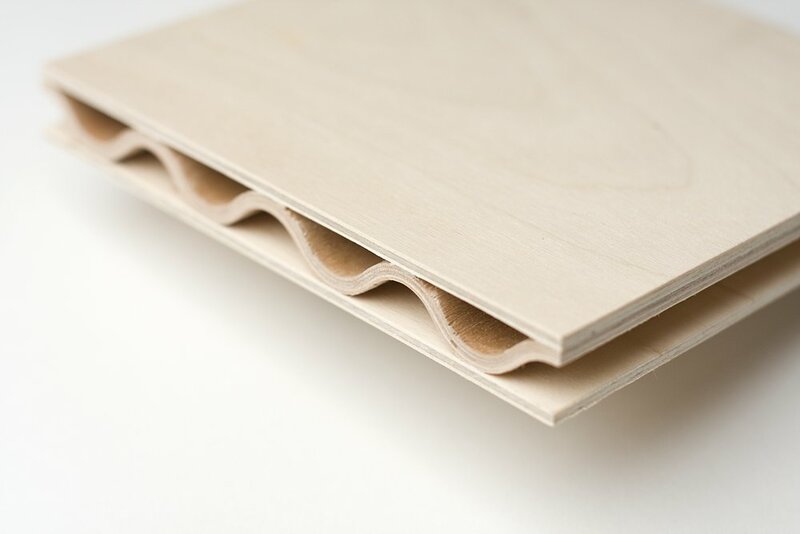 As you may know, plywood, which is most often thought of as a flat sheet commodity product, has long been recognized for its design flexibility. Mid-century modernist designers including Charles and Ray Eames and Eero Saarinen used plywood for furniture design. 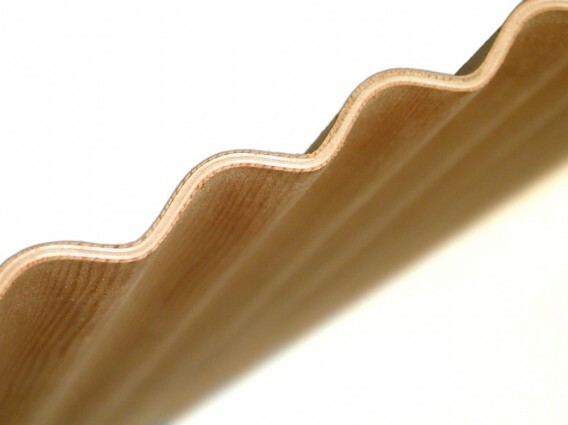 In this case, Corelam’s basic plywood panel is called Piececore. Piececore offers the appearance of a corrugated material but instead of being made of metal or plastic, it is natural wood. 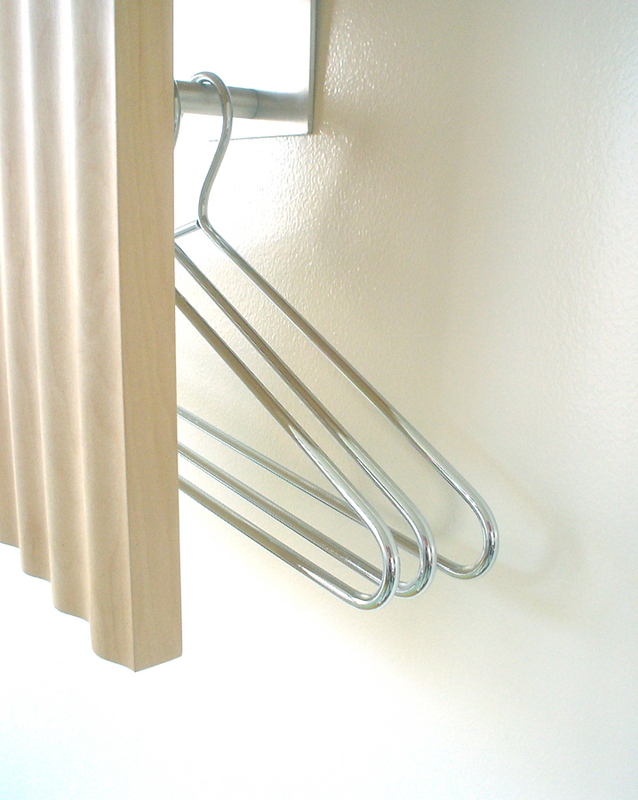 It can be used in place of flat panels or other materials for wall and ceiling coverings, but Piececore is lighter than other materials with similar strength. Corelam is also used for the company’s Soundcore panels. 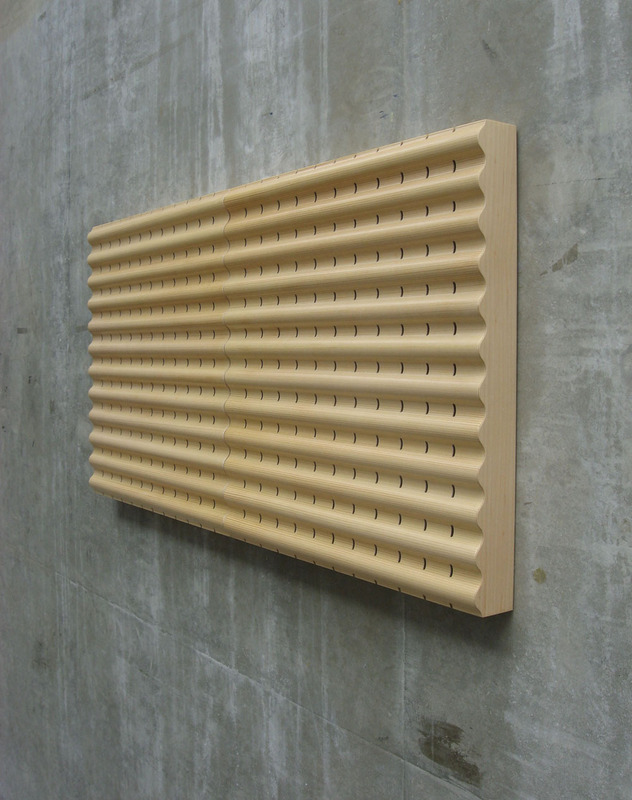 These have perforations and a corrugated texture to absorb and diffuse noise for sound control. Soundcore panels can be configured for wall or ceiling (Soundcloud) installation. 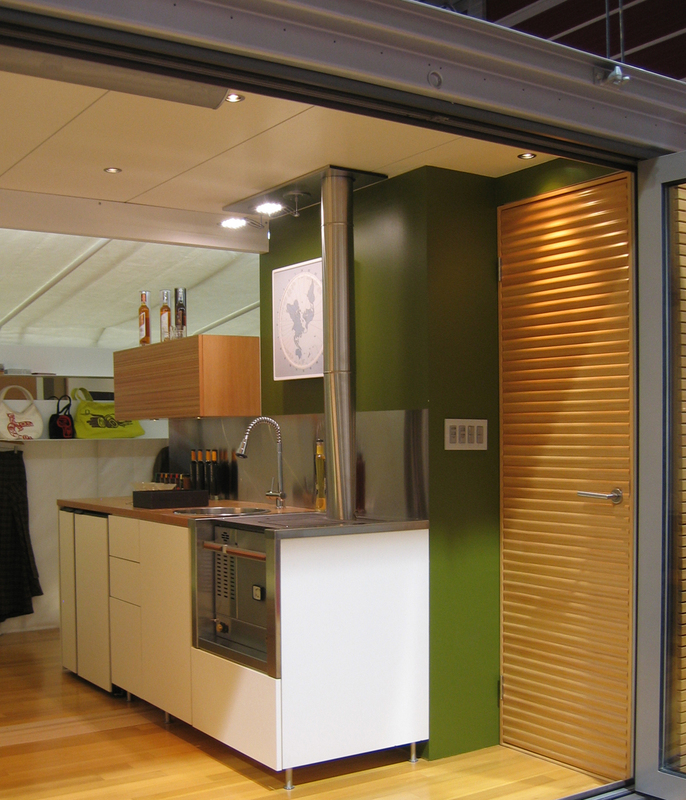 Similarly, the company makes Mobilecore panels, which can be used for doors and furniture applications. I love plywood. Plywood furniture is very adorable. Thanks for posting! !